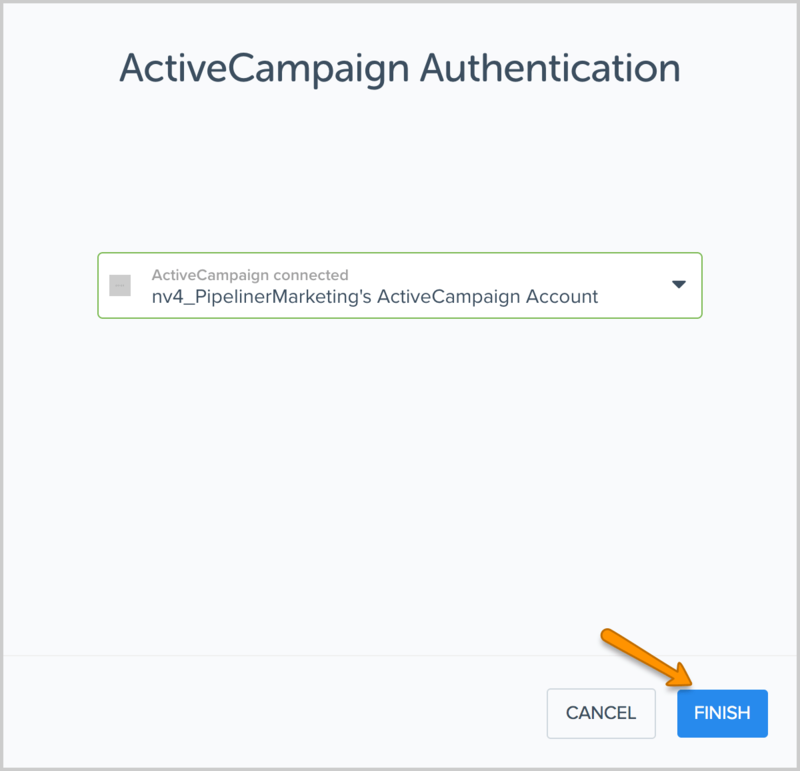 Learn how to activate and integrate ActiveCampaign with the Pipeliner automation hub and how to view ActiveCampaign Feeds. 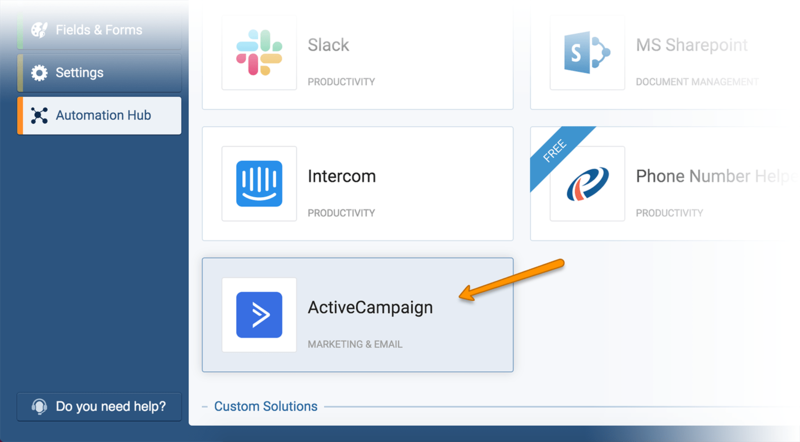 This integration between Pipeliner Cloud and ActiveCampaign allows you to send template emails as a campaign to a list in ActiveCampaign and, providing the contacts already exist in Pipeliner, to view these campaign emails as Feed items. 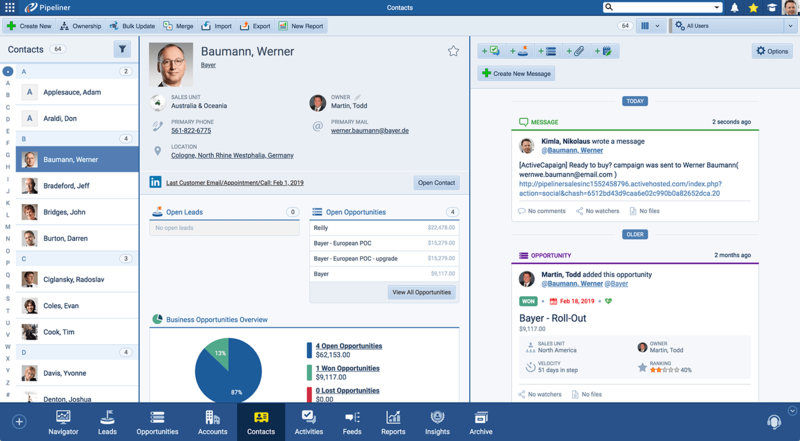 PRE-REQUISITES: In order to use this integration, you will need to have a Pipeliner Cloud subscription and an ActiveCampaign account (www.activecampaign.com). 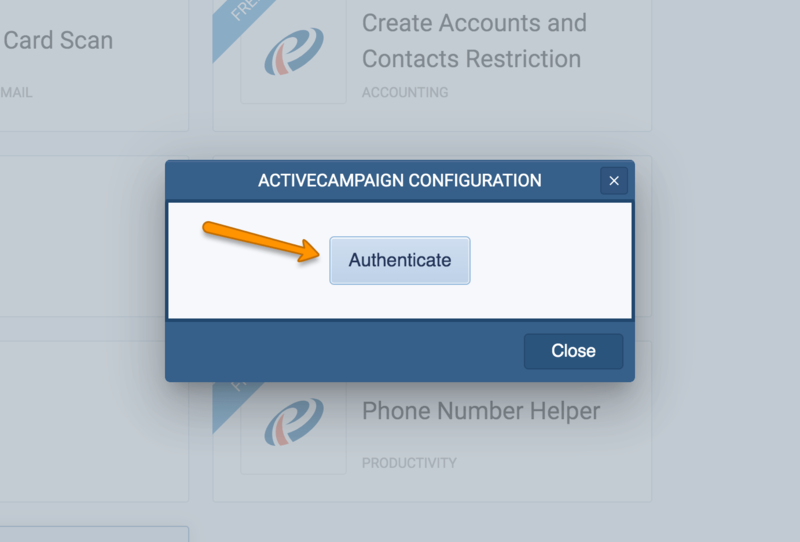 You will also need to set up a webhook in ActiveCampaign as part of the activation of the integration. From the Admin Module, click on the "Automation Hub" Menu Item. This is the current, active Pipeliner user who will be set as the Owner of all of the ActiveCampaign Feed items created in Pipeliner. 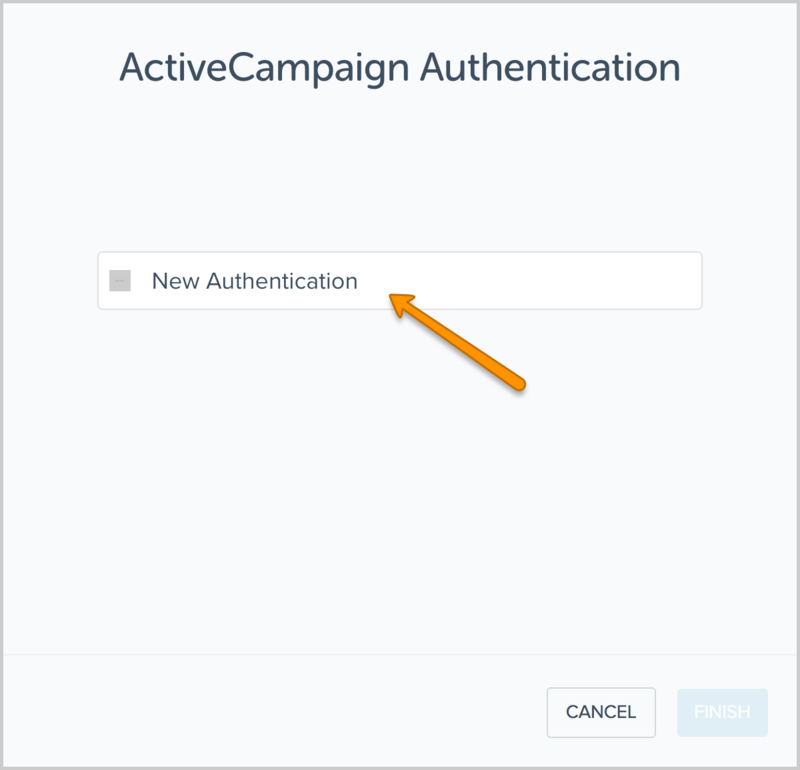 These are the API credentials for your ActiveCampaign account. 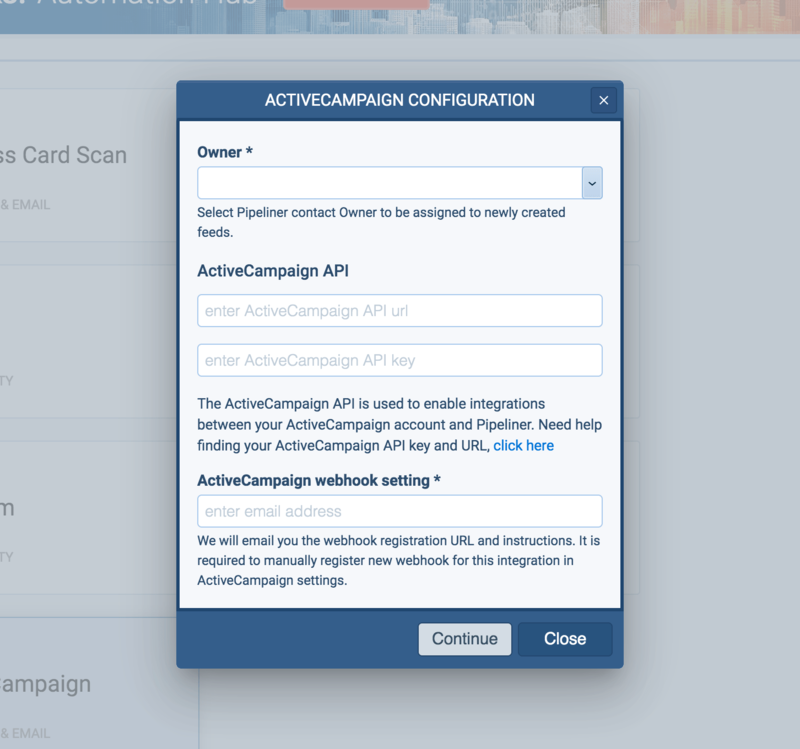 If you need help to find these, this article will help you ActiveCampaign - Getting started with the API. 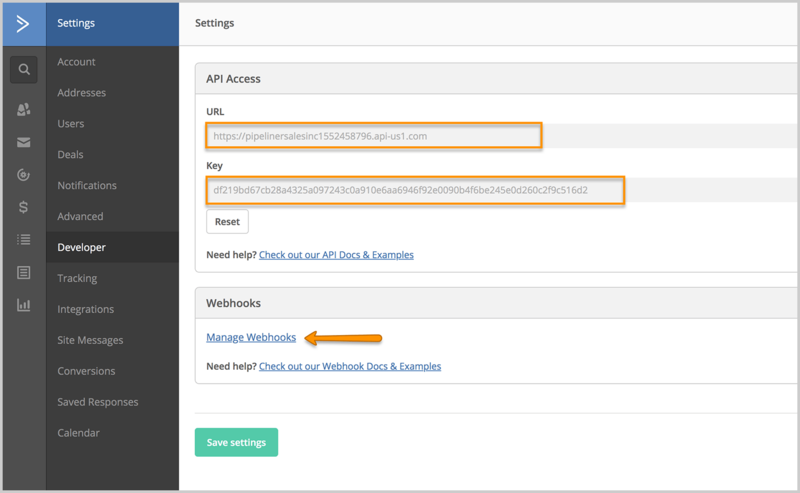 You will need to manually register a new webhook for this integration in ActiveCampaign. We will send a personalized email with the correct link to the email address that you enter here. Once these are completed, click on "Continue". You’ll receive a message confirming that authentication has been successful. 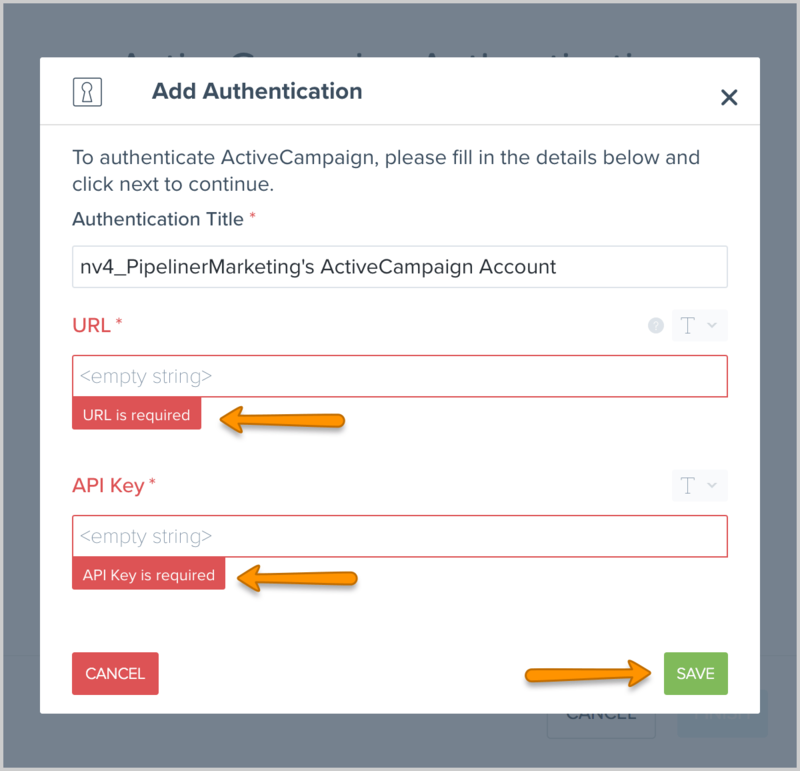 NOTE: Look out for an email “Pipeliner + ActiveCampaign Integration webhook register URL and instructions”. 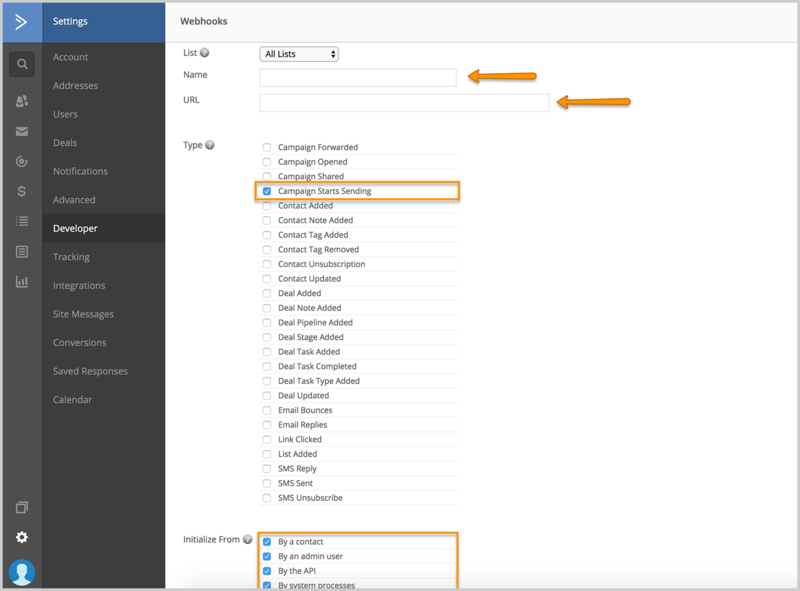 NOTE: the hyperlink in the Feed Message will allow your users to see the ActiveCampaign email template referenced in the message.